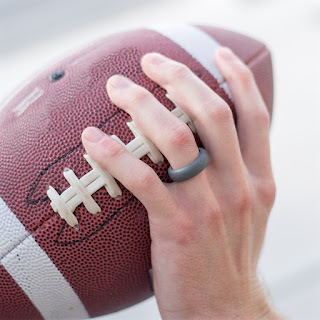 I LOVE my *POPULAR* His &amp; Her Silicone Rings ONLY $3.99 (Retail $16.99). Sometimes life moves fast and you need a ring that works along with you! It is time to find out why silicone wedding bands are becoming more popular. They are comfortable, easy to wear, and durable. Perfect for the beach, exercise, work, and so much more! Really, you can wear them to do all of the things you wouldn't do with a traditional ring. So grab a few for you and a few for your spouse. Trust me, you won't regret it! Color options are different for each size. Please refer to the images for the color options for each size.